Marketing and Advertising Agencies are constantly looking for ways for campaigns to reach the intended recipients quickly and effectively. SMS and MMS activations are proven medium to engage and communicate with the audiences and cut through the clutter of many of the other popular channels. Text Messaging is quickly becoming, again, one of the preferred ways to trigger participation. Everyone with a mobile phone can participate! 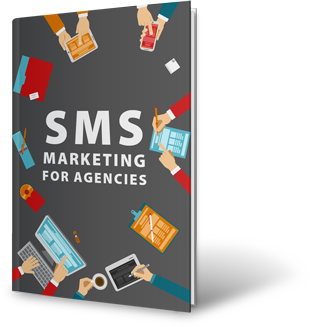 "In the featured CRAVE case study you can read about the power of SMS and MMS in the marketing mix." Text to Win (the number one driver) - A great way to engage the audience and provide incentive for participation. One of the best ways to spark conversation with the client. Professional Setup and Implementation - Our team knows how to connect the elements for even the most complex text message campaign. Let our professionals setup and implement the SMS and or MMS portion of your campaign. Complimenting Campaign Tools - Gone are days of singled out SMS campaigns. Ask us about the many ways Text Messaging compliments social media and the rest of the marketing channels. Smart SMS Campaigns - In the current marketing environment the end user behavior is complex enough and it requires SMS to be well mixed within the rest of the marketing efforts. A variety of smart automation with SMS and MMS opens a whole new world of consumer engagement. Real-time Reporting and Analytics - Timely notifications to attendees to notify them about last minute changes. CraveOnline decided that the most ubiquitous and direct way to deliver the mobile coupons and the behind the scenes content would be the use of a mix of SMS and MMS messages in a short sequence drip campaign. ProTexting's team helped with the creation and execution of the mobile messaging portion of the campaign. The mobile marketing company was responsible for the customization of the end user experience and building out the messaging flow and logic.